A couple of weeks ago we fell in love with some bright floral fabric, so much so that we bought six yards of it on the spot with plans to bring it home and make curtains for our master bedroom. Since Amy thinks sewing is man work in our house and Chad thinks curtains are woman work – this put us in quite a conundrum. The solution for us? Easy curtains, no sewing. By the way doesn’t our new wall color look so bright? Love it. 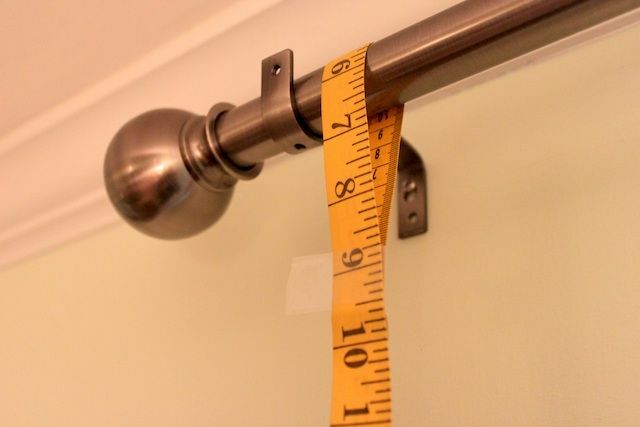 Step One: Measure your window to determine how much fabric you’ll need and cut it appropriately. We used 97” of length for each of our panels so that we could mount them as close to our crown molding as possible and have them drape to the floor. 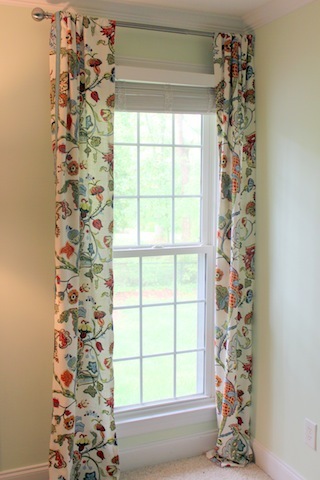 A traditional width for curtain panels is 54” wide. This is also the standard width for upholstery grade fabric, which is what we bought. However we split this down the middle for two reasons. One, we had narrow windows that couldn’t really handle such thick drapes, and we wanted to save money and avoid buying twelve yards instead of just six for two windows. So in the end we cut our fabric to accommodate four panels, each 27” wide and 97” long. The easiest way to get our less than standard width was to cut the proper length and then fold the fabric over onto itself on the floor, cutting the crease down the middle. Worked like a charm. Step Two: Iron down about one inch of fabric on all four sides of your curtain panel as if you were creating hem. Step Three: Cut your Heat n’ Bond adhesive tape to the necessary lengths. Lay it inside the hem-like flap you’ve created, paper side up. 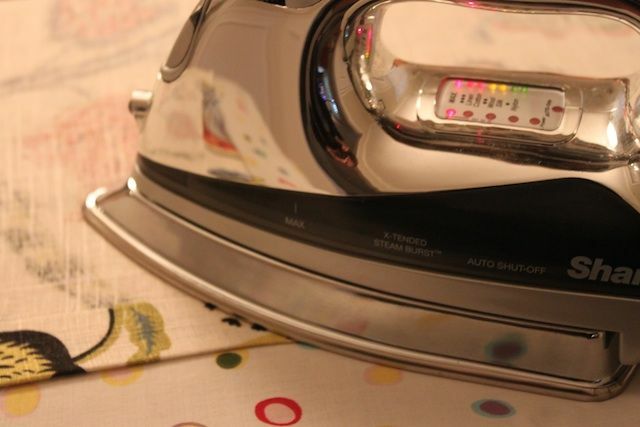 Using an iron on a medium-high setting, iron the entire length of the tape for just about 2-3 seconds per section. Tip: for four curtain panels we used 3 rolls of this adhesive, purchased from JoAnne’s Fabrics and Crafts for $3.48 each. Step Four: Allow the ironed on tape to cool completely. This is very important. If you don’t allow it to cool completely for just a minute or two it won’t adhere properly. 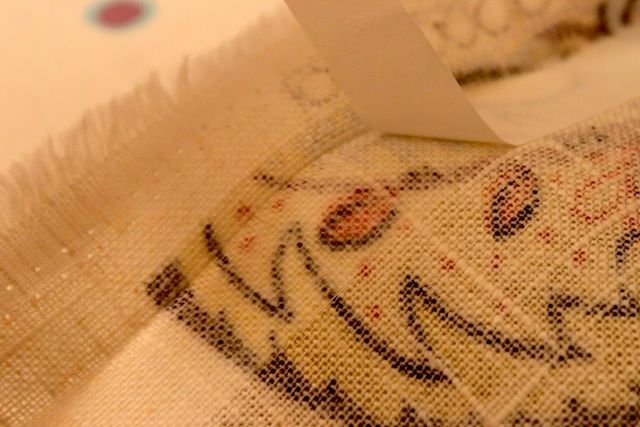 Once it is cool though, peel the paper side of the tape off, lay down your fabric “hem” flap and iron on for about 10 seconds each section. Allow the curtains to cool completely before hanging. Step Five: You have a couple of options for hanging. 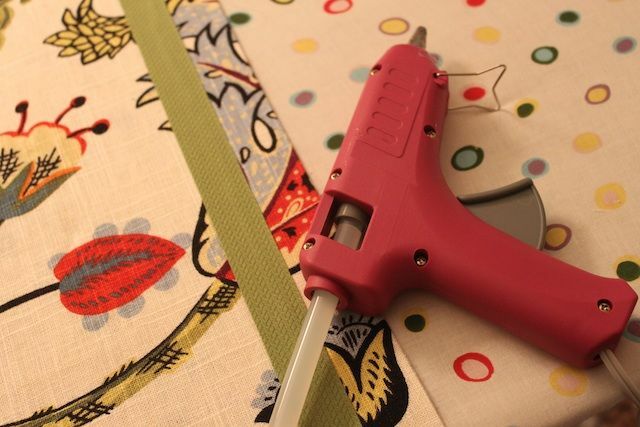 You can just “sew” one large rectangular piece of fabric and attach it to your curtain rod with a round curtain clips or you can make a rod pocket with the same tape method. 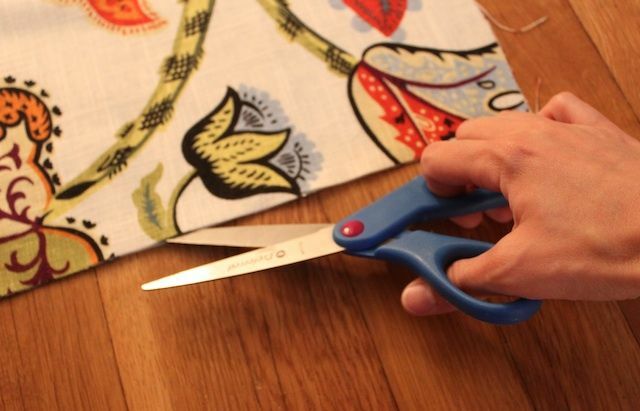 Just fold the top of your curtain panel over by about six inches and use the tape to adhere it to itself, creating a pocket for your curtain rod. Again, it’s important to allow the curtain to cool completely before hanging it. Also, if you’re making a pocket like this be sure to incorporate that into your measurements you’ll need an extra six inches or so for a pocket. Optional: We hot glued two ribbons to the outside length of our curtains for just a little added layering, using a wide green ribbon and then topping it with a lighter blue polka dotted ribbon. Love how it turned out. You can also use the iron table for this too. The entire project will probably take you about an hour and a half, more if you have more than two windows. 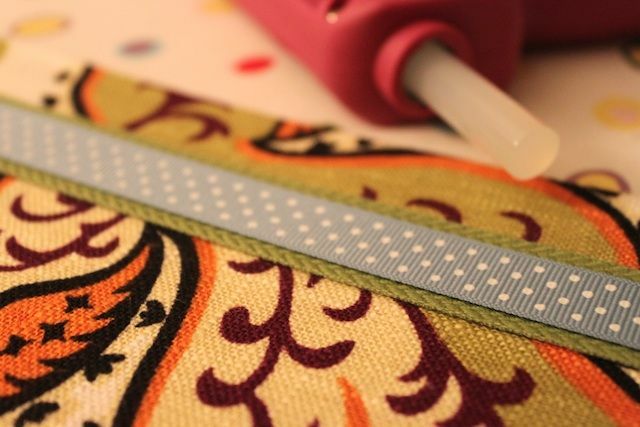 It isn’t likely to save you more time that sewing would but if you’re like us and don’t have a machine or the sewing experience, this is a great solution. All we’ve heard is that the adhesive tape doesn’t hold up in the washer so if you need to clean your drapes you might be in trouble. Luckily for us we don’t clean that much around here.